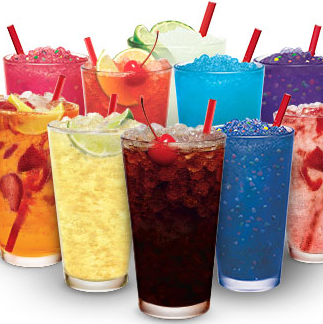 414 Donelson Pike, Nashville, TN 37214 Offering a vast array of beverages and classic drive-in favorites! Choose mini, small, medium, or large serving size. Chose from four sizes with Reeses peanut butter cups, M&M's, Oreo's, Snickers, or Butterfinger pieces. Choose mini, small, medium, or large. Served with marinara. choose 2, 4, 6, or 8 piece. 100% all white meat grilled chicken breast topped with fresh lettuce, ripe tomatoes and light mayonnaise served on a warm, whole grain* ciabatta bun. *Made with 10 grams of whole grain. A 6oz. 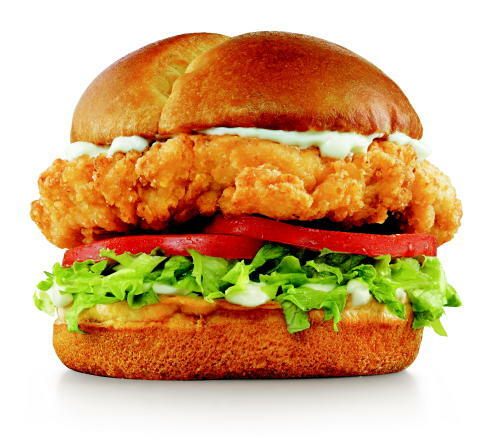 Fried fillet on a Brioche Bun. All new classic lemonade now frozen to perfection. Add-Ins cost extra. The other kind of juice in the other kind of package. Cold, icy Minute Maid®Cranberry* Juice. 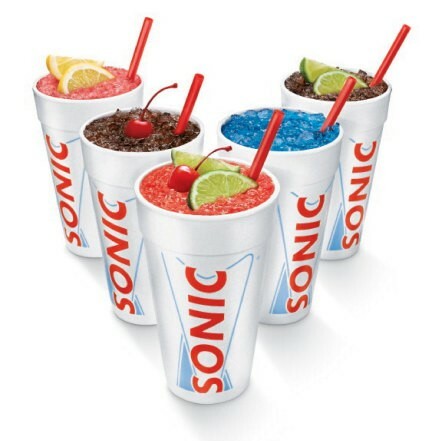 It's a slush, folks. A delicious, slushy blue mixture of crushed ice and orange flavor. Despite it's name, it tastes nothing like the ocean! Which is probably good thing. But it is blue, with a tangy flavor and a hint of coconut. Sausage or bacon with egg and cheese on a fresh biscuit. Stuffed japenos with cheddar, served with ranch. Mini, small, medium, or large. Choose from dipping sauces. 2pc. 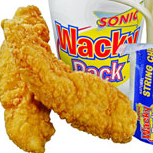 crispy chicken tenders served with apple sauce, tots, or fries and drink choice of apple juice, 1% milk, chocolate milk, or Hi-C fruit punch. 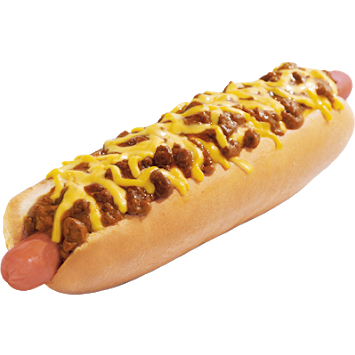 One corn dog served with apple sauce, tots, or fries and drink choice of apple juice, 1% milk, chocolate milk, or Hi-C fruit punch. 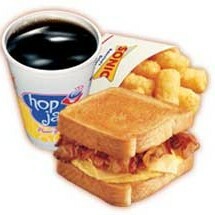 Grilled cheese sandwich served with apple sauce, tots, or fries and drink choice of apple juice, 1% milk, chocolate milk, or Hi-C fruit punch. 100% all white meat chicken with a traditional crispy coating tossed in Honey BBQ, Buffalo, or Asian Sweet Chili sauce. 100% all white meat chicken with a traditional crispy coating tossed in Honey BBQ, Asian Sweet Chili, or Buffalo sauce. 100% all white meat chicken with a traditional crispy coating tossed in Honey BBQ, Aisan Sweet Chili, or Buffalo sauce. 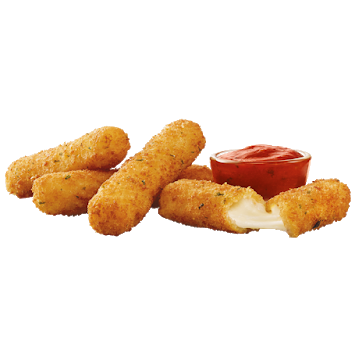 Crispy-on-the-outside, juicy-on-the-inside all-white meat chicken strips with Buttermilk Ranch, Honey Mustard, Hickory BBQ sauce* or eat them plain. 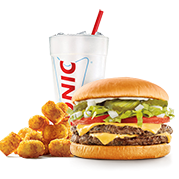 Served with Texas Toast, Tots and Oinion Ring, and a medium soft drink. 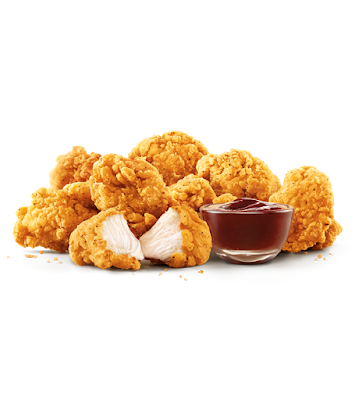 Crispy-on-the-outside, juicy-on-the-inside all-white meat chicken strips with Buttermilk Ranch, Honey Mustard, Hickory BBQ sauce* or eat them plain. 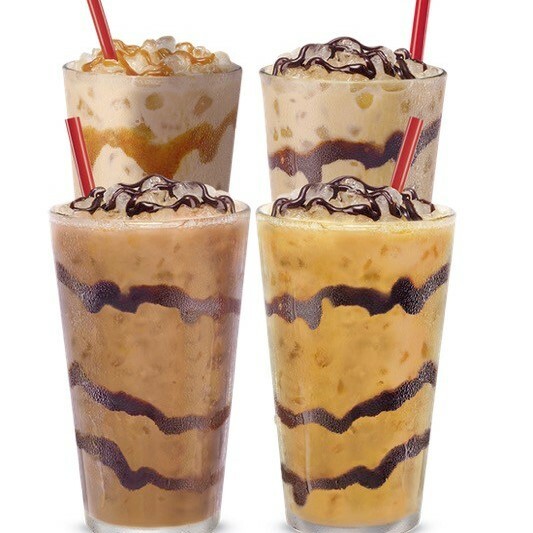 Choose from four sizes of Original Flavor, French Vanilla, Chocolate, or Praline Pecan. 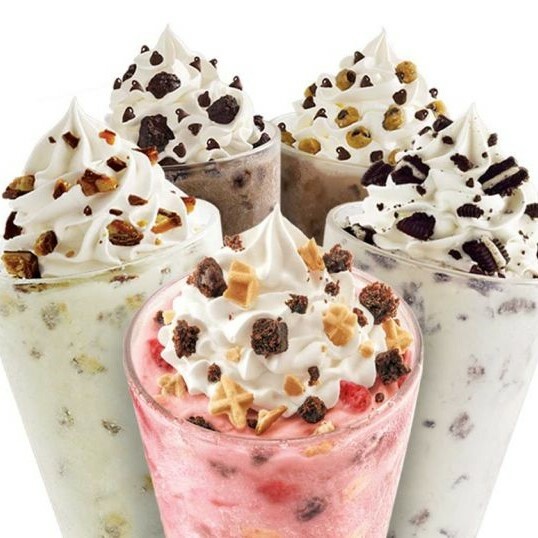 Chose from four sizes of Waffleberry Brownie, Brownie & Cookie Dough, Peanut Butter & Cookie Dough, Chocolate Chip Cookie Dough, Caramel Brownie, or Turtle Pecan Gourmet-style Blasts.